WEST HARTFORD - Through the first half of Saturday’s matinee with Eastern, it looked like the seniors of Hall-Southington might get a satisfying sendoff on the final home game of their high school careers. 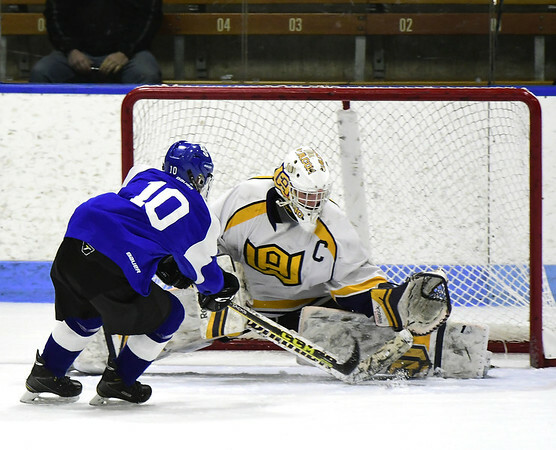 Hall-Southington held a 3-2 lead in the second period, but four-straight goals by Eagles led to an 8-4 loss, as Eastern played spoiler on Senior Day. Posted in New Britain Herald, Southington on Saturday, 9 February 2019 21:33. Updated: Saturday, 9 February 2019 21:35.